Take your vehicle handling and performance to the next level with a custom suspension kit upgrade! If you’re looking to vehicle upgrade performance, handling, and comfort, a suspension lift or leveling kit is the first place to start. Adding a suspension lift to your vehicle provides the opportunity to customize and enhance your vehicle with larger tires, custom exhaust stacks and tubing, larger engines, enhanced transmission systems, and more. Leveling kits: A leveling kit levels out vehicle clearance, as the name suggests. In trucks and some SUVs, the back end tends to sit higher than the front end to accommodate for hauling and towing. A leveling kit raises the front end so that it is equal height to the back end. Usually, this adds up to 3 inches to the clearance. Lift kits: While leveling kits specifically target the front of the vehicle, a lift kit will increase the clearance of your entire vehicle. With a lift kit, the amount of height increase is entirely up to you. 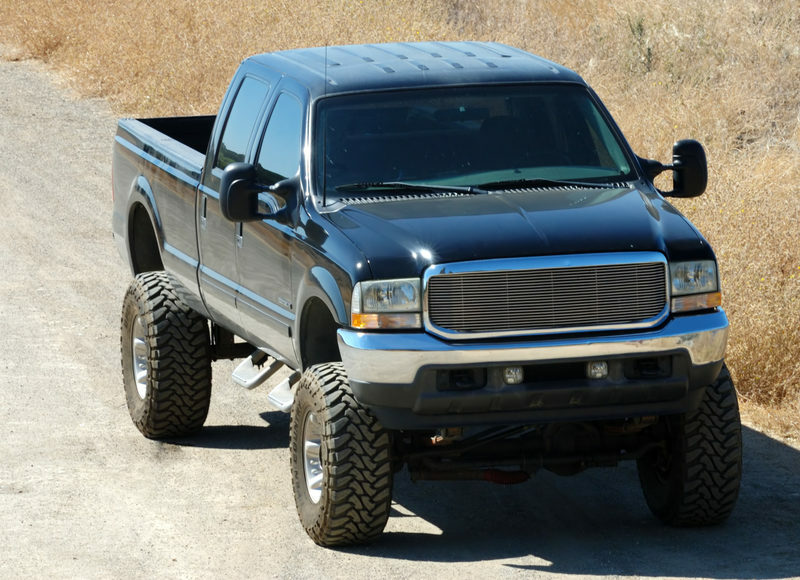 Most standard kits provide up to 10” of lift, but we offer many custom options to make your truck even higher! The type of kit that is best for you depends on how you intend to modify your vehicle, how much money you wish to spend, and how you want your vehicle to look. The possibilities are endless! Park Muffler offers the highest quality aftermarket parts, all stocked on-site. We provide quick and affordable lift kit and leveling kit installations, all done while you wait. Our expert team has years of experience with suspension lifts and other aftermarket performance parts, so you can ensure that your installation is being done right. If you want to install a custom suspension kit, or you have questions about how this and other aftermarket parts can improve your vehicle’s performance, our team can help. Give us a call or stop by our service centre today!